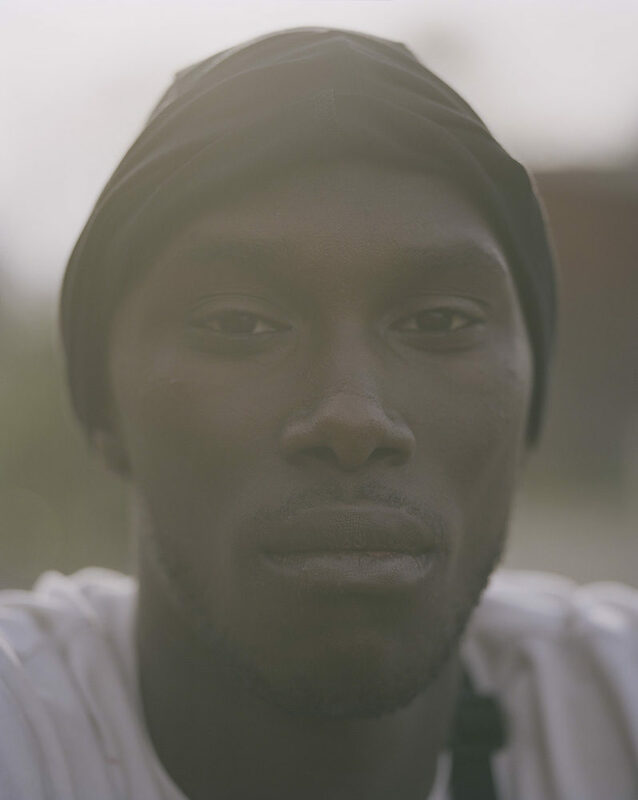 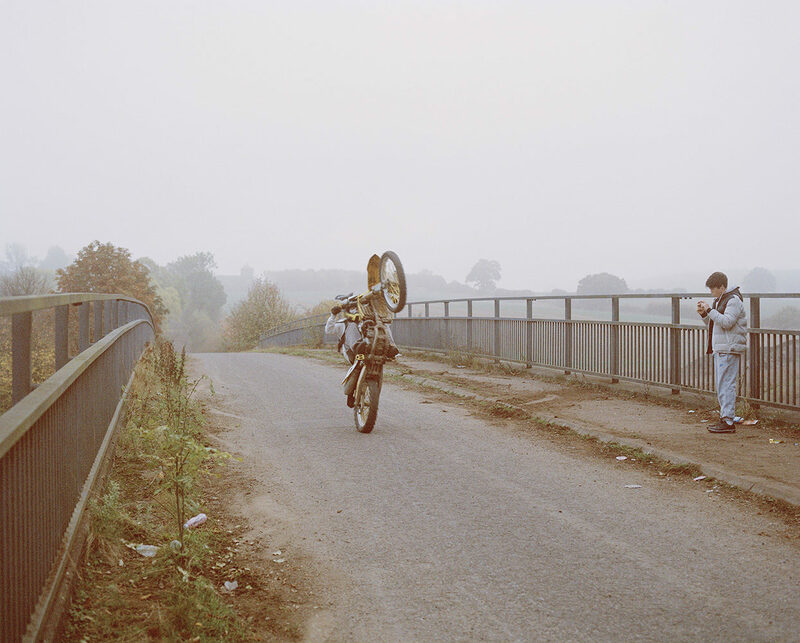 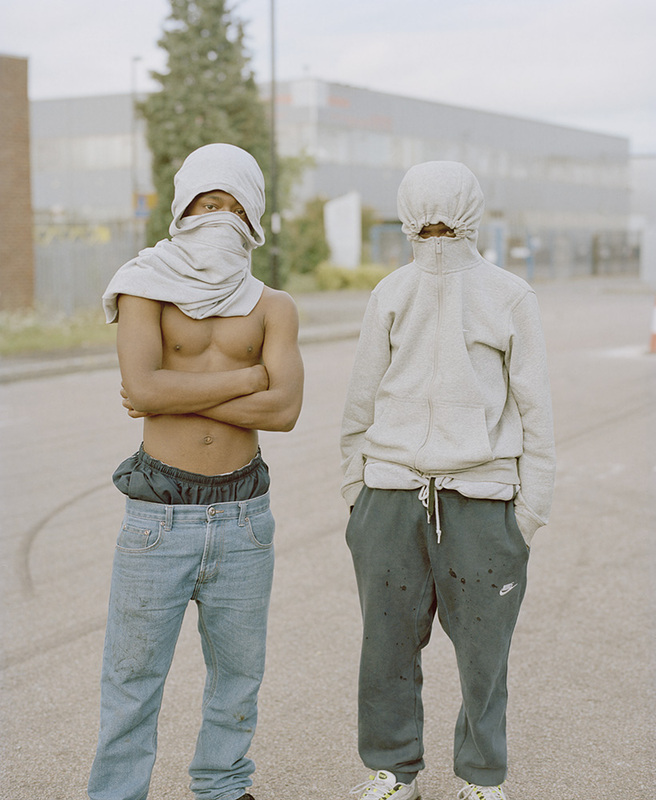 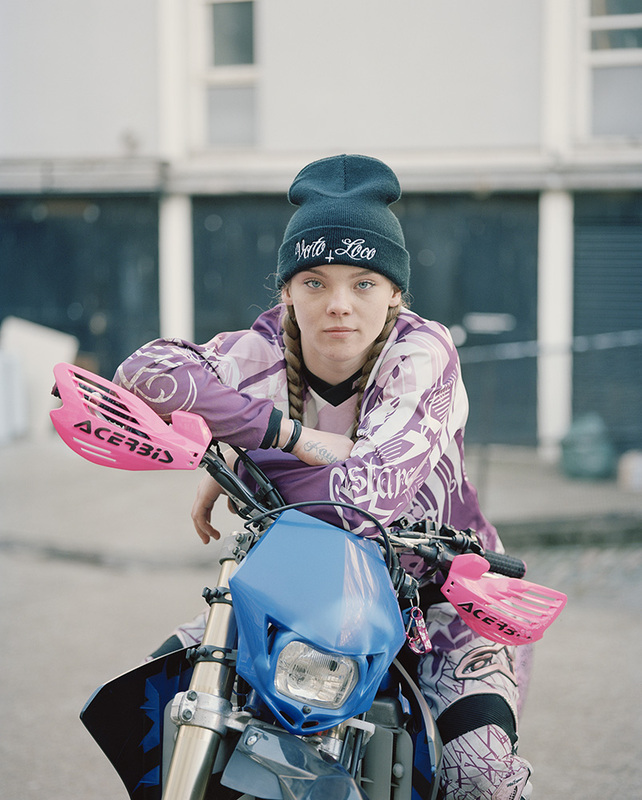 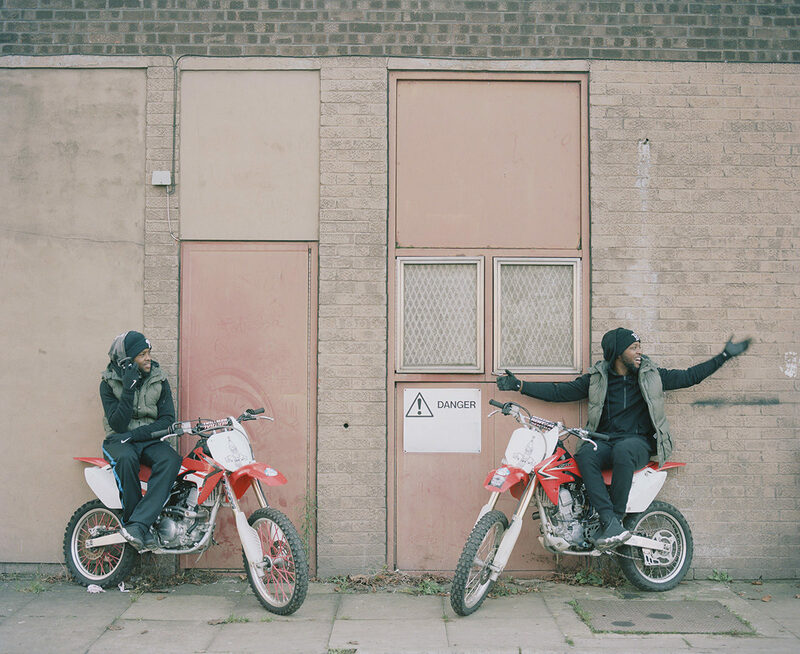 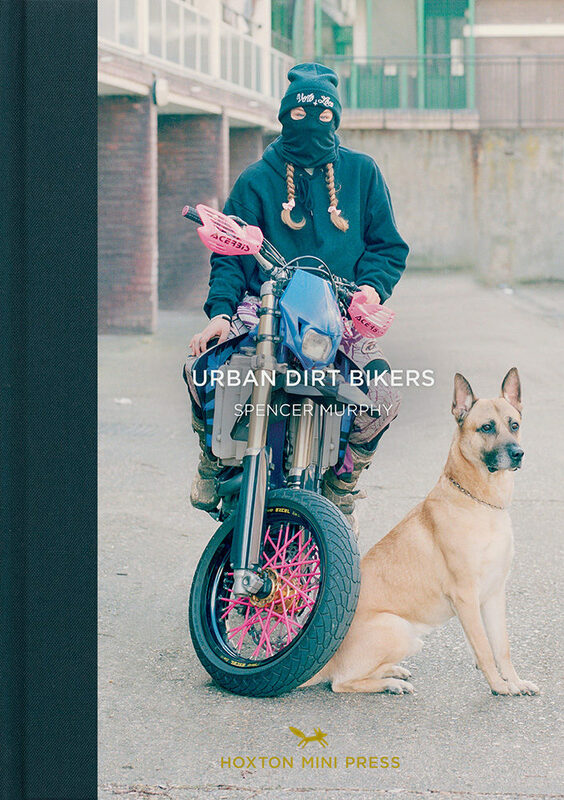 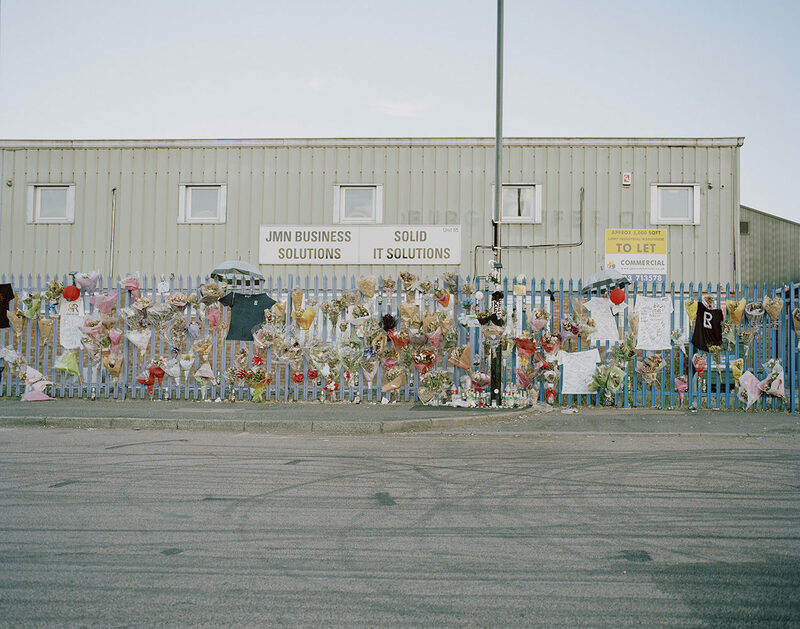 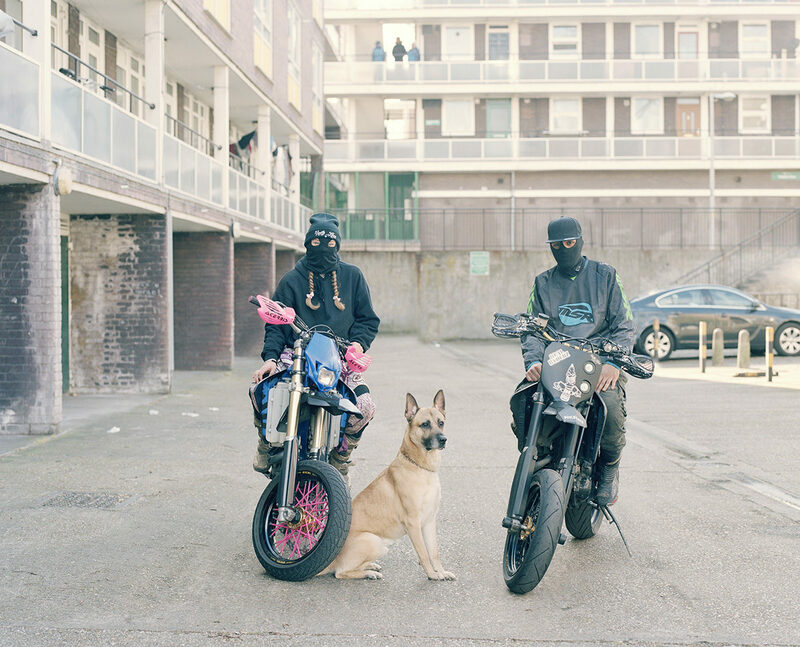 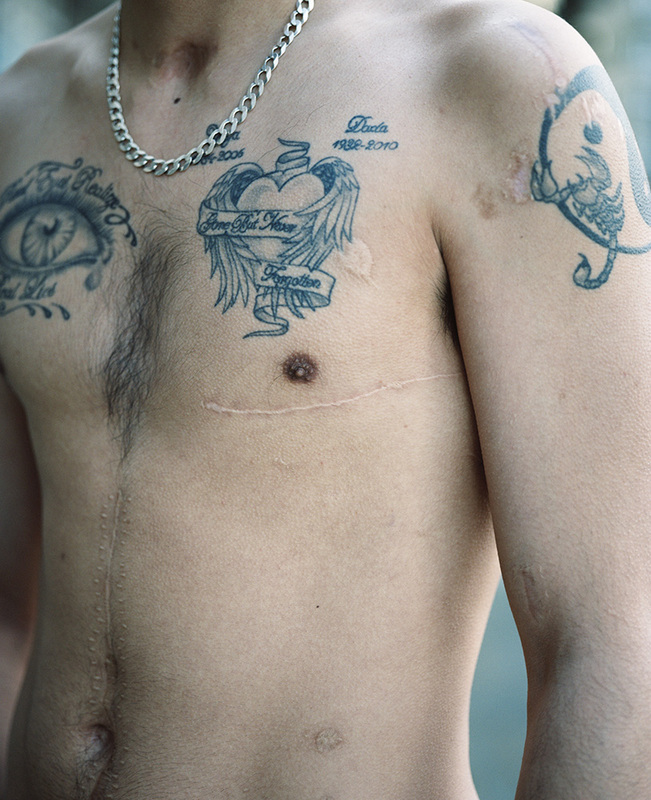 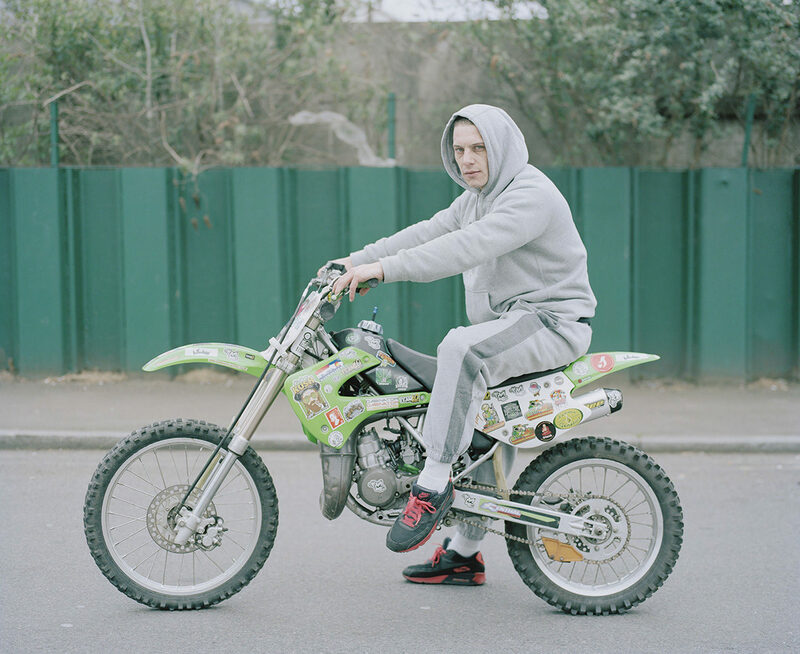 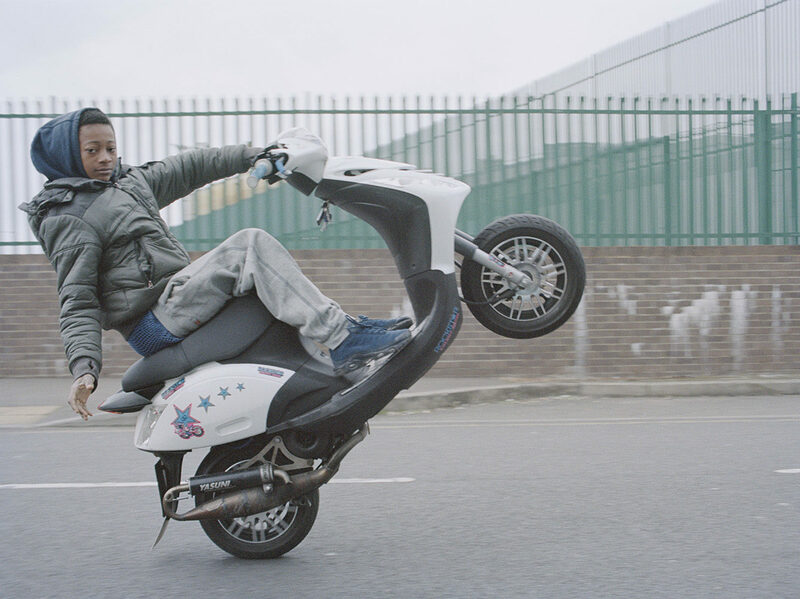 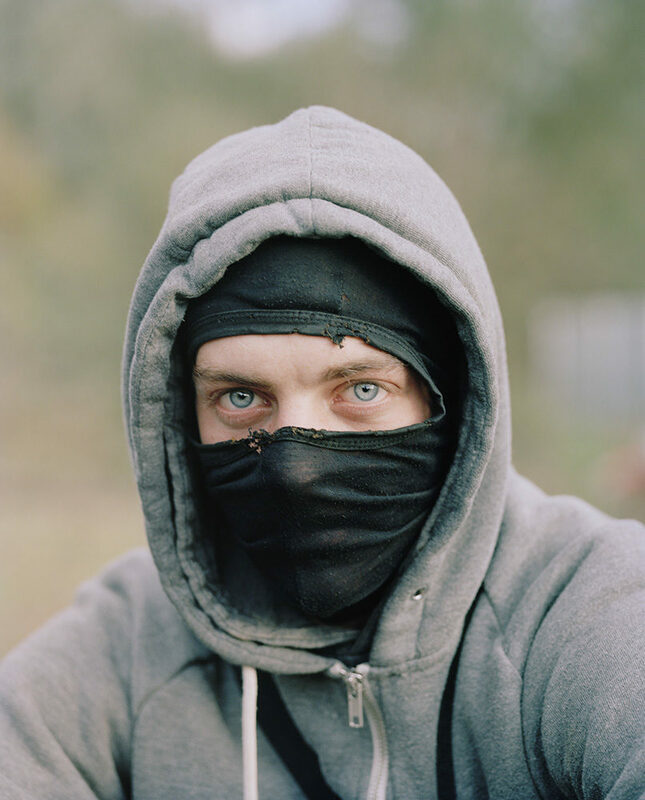 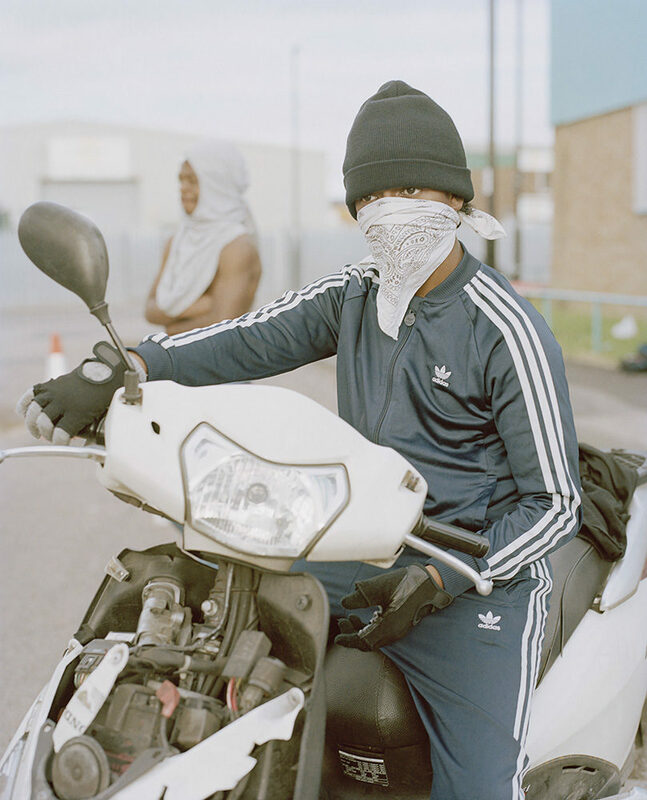 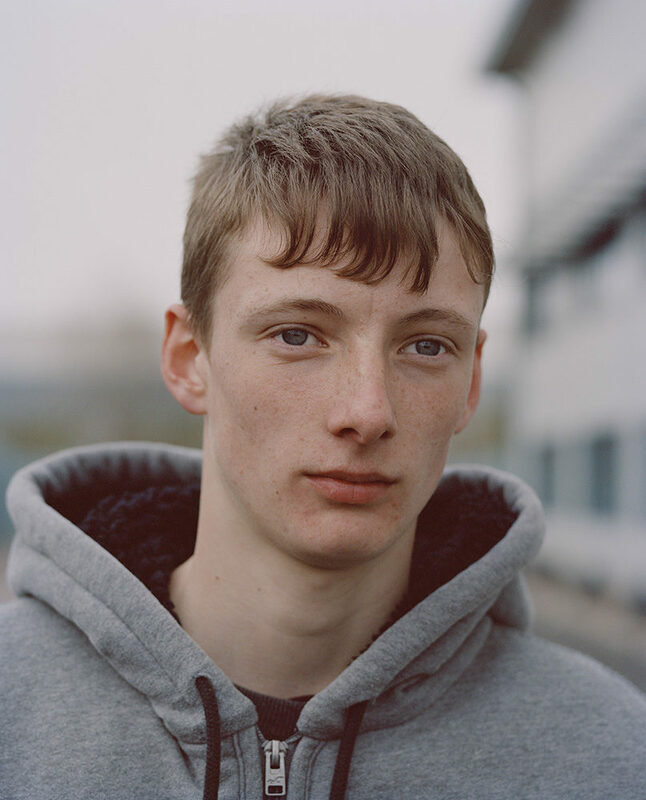 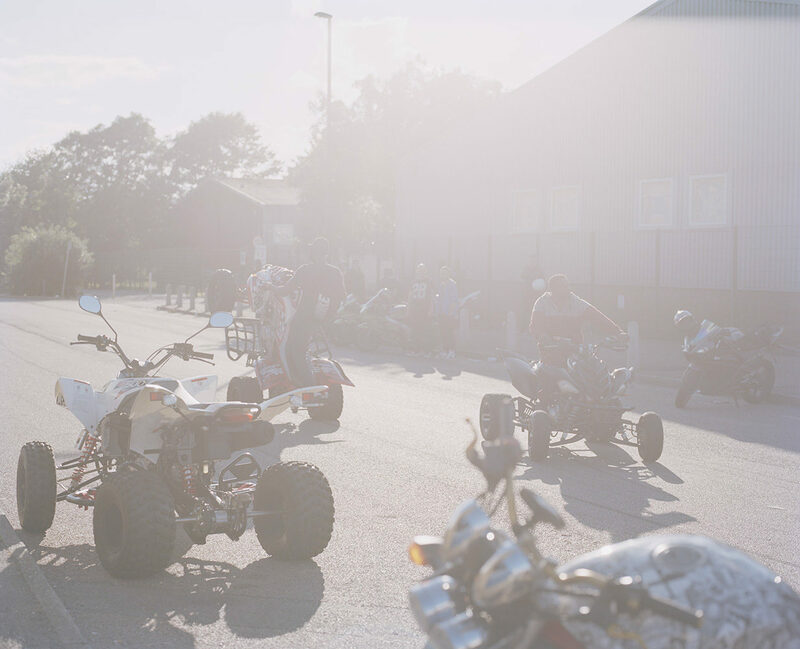 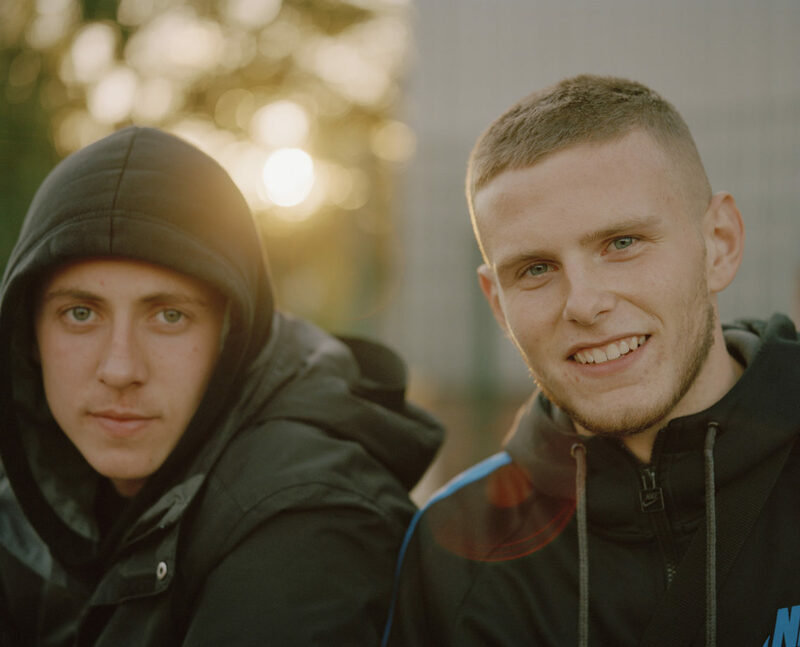 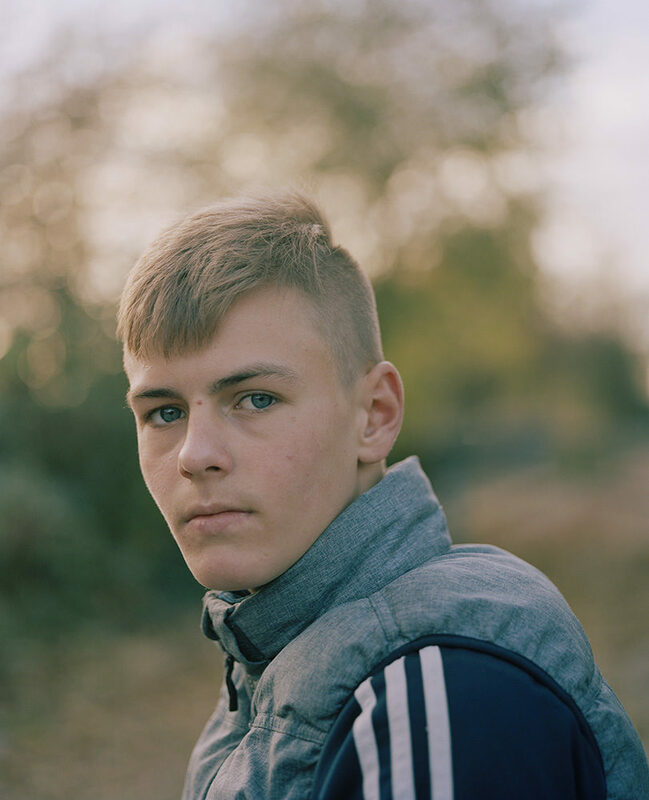 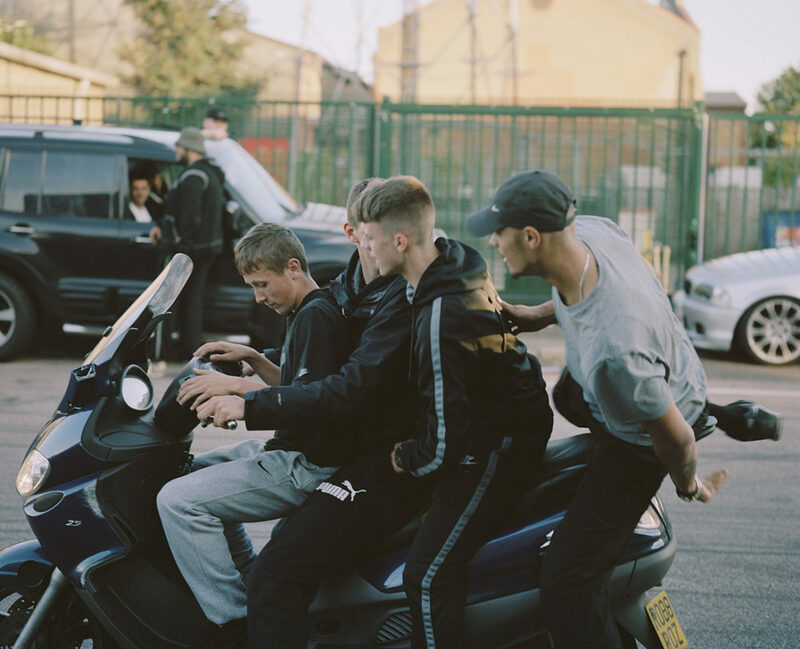 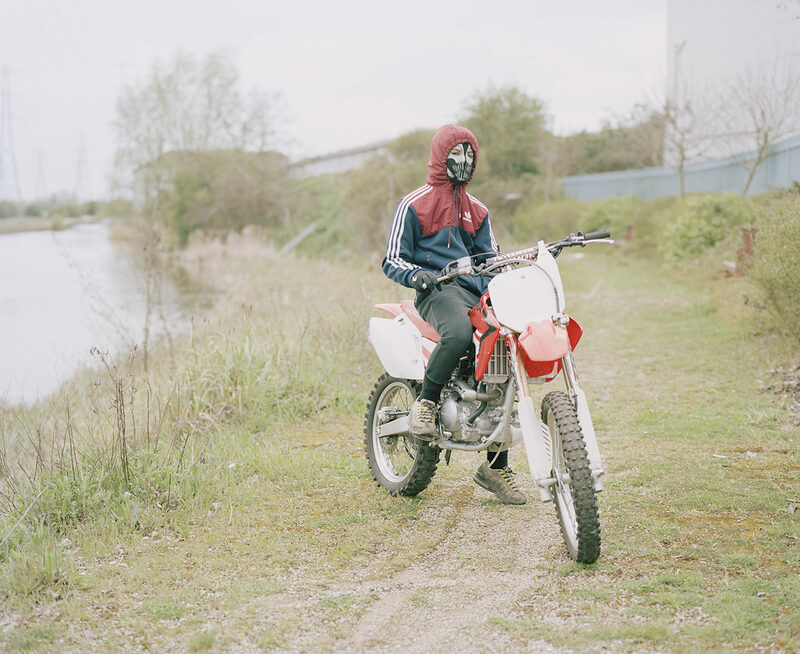 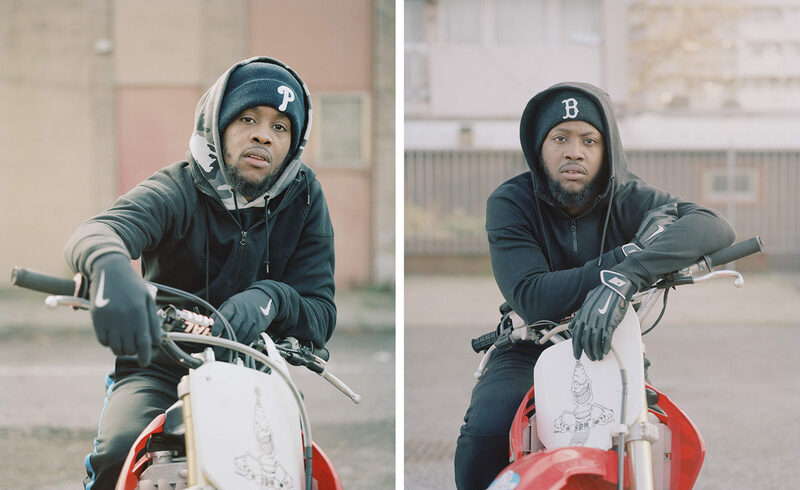 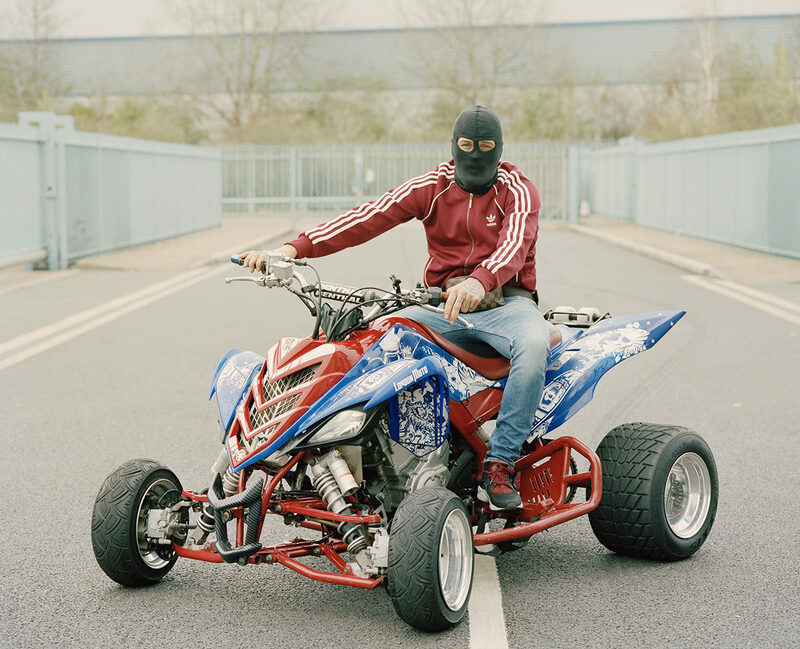 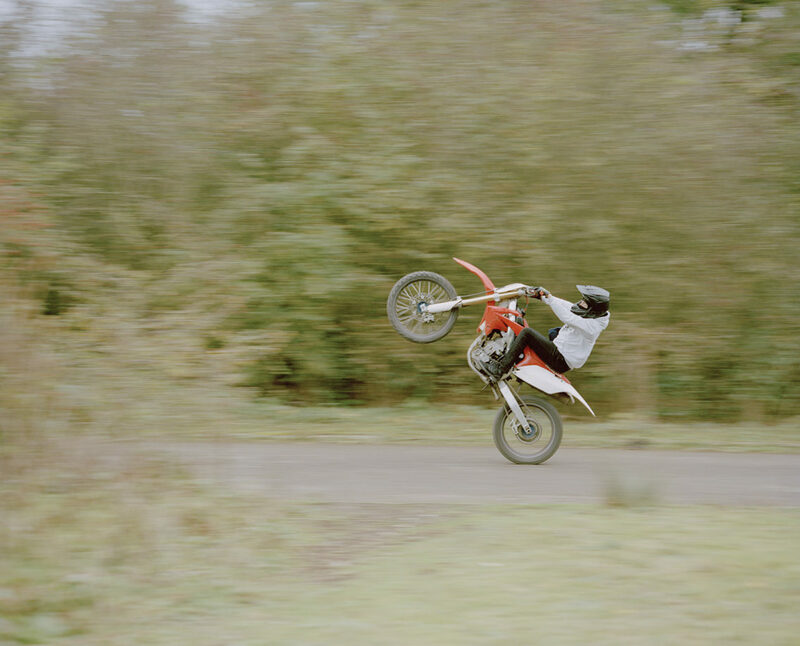 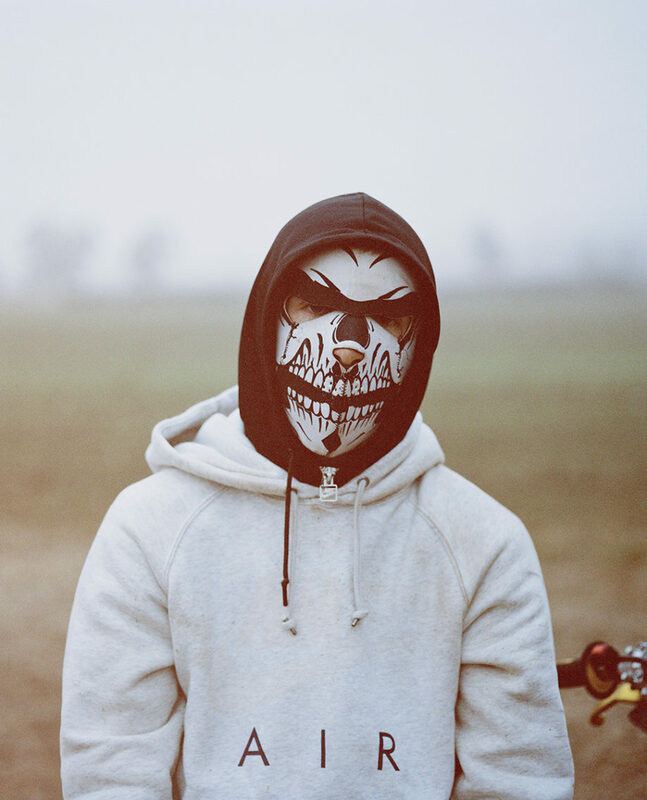 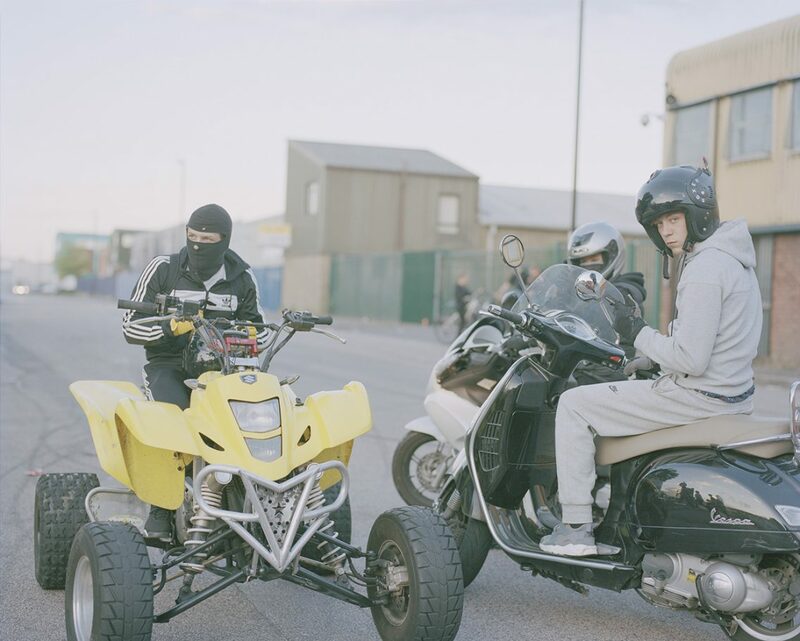 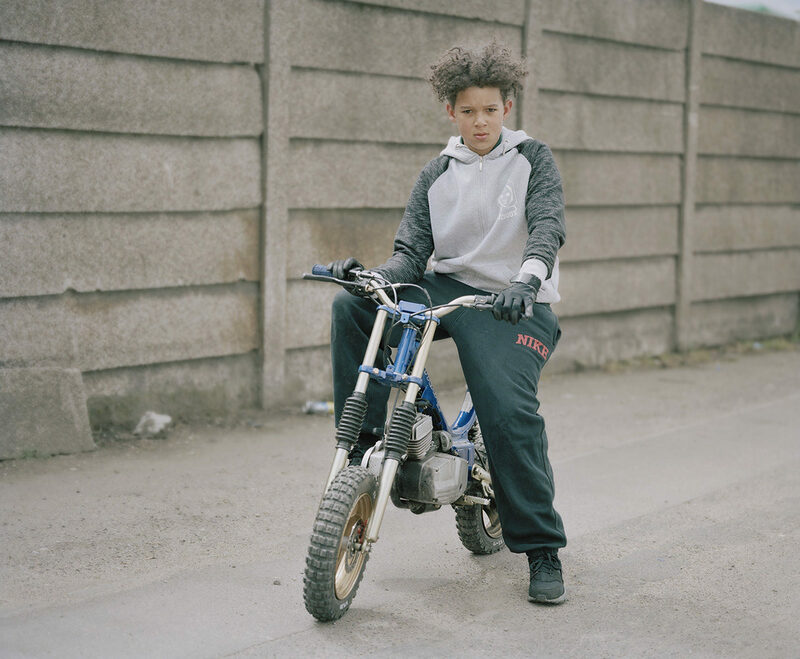 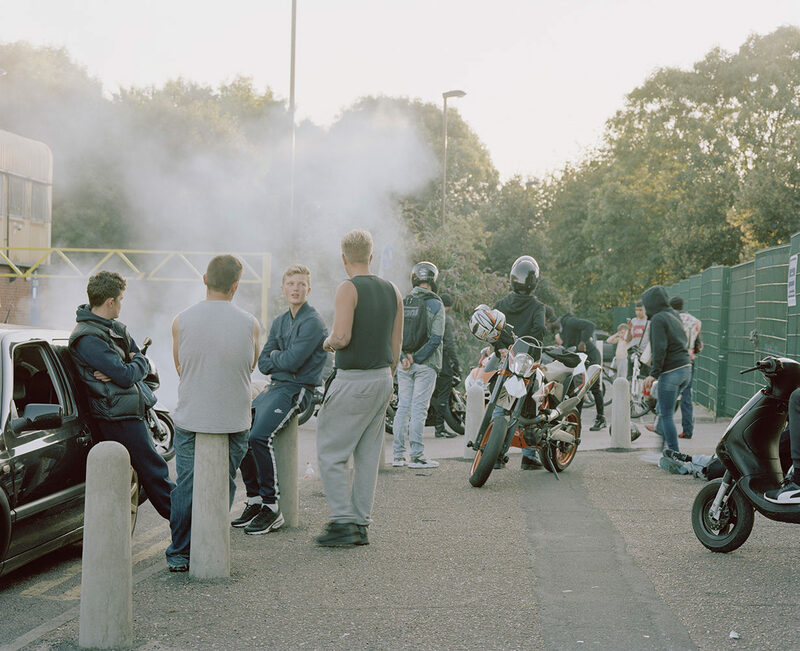 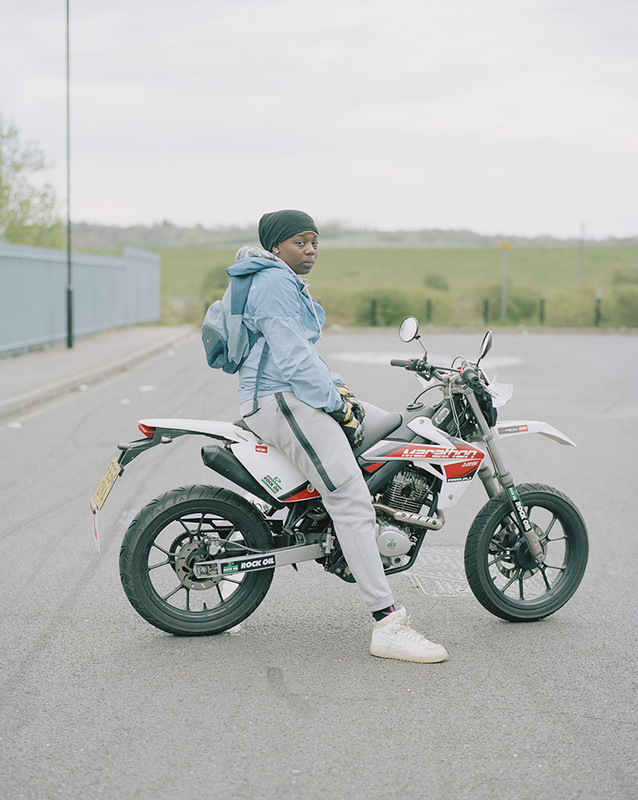 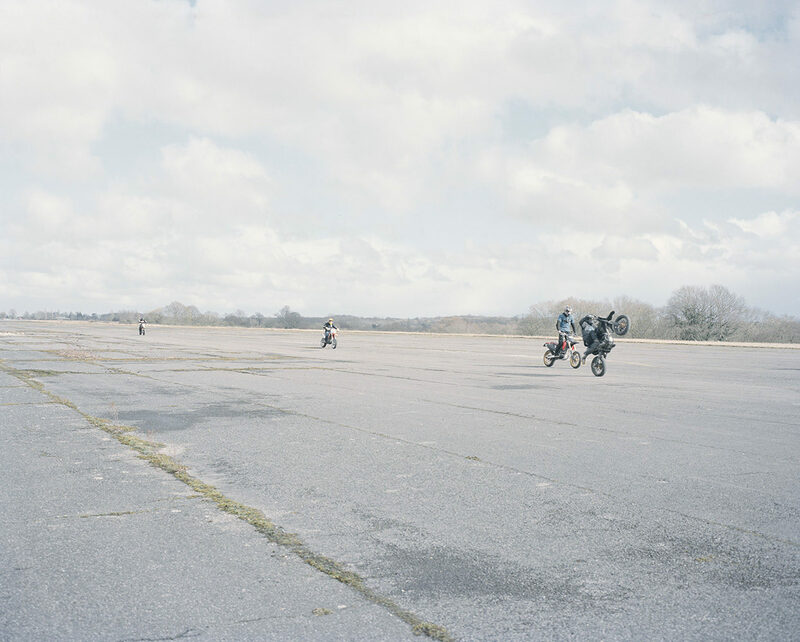 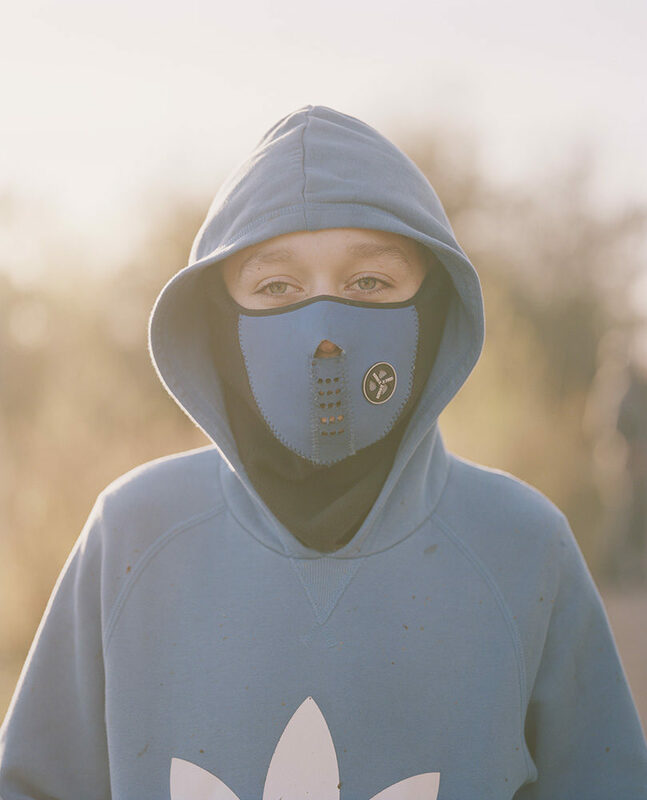 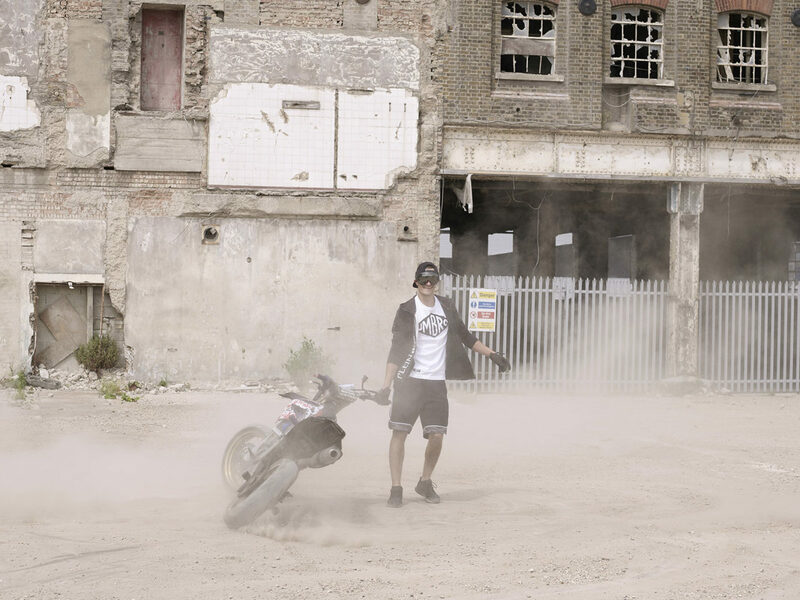 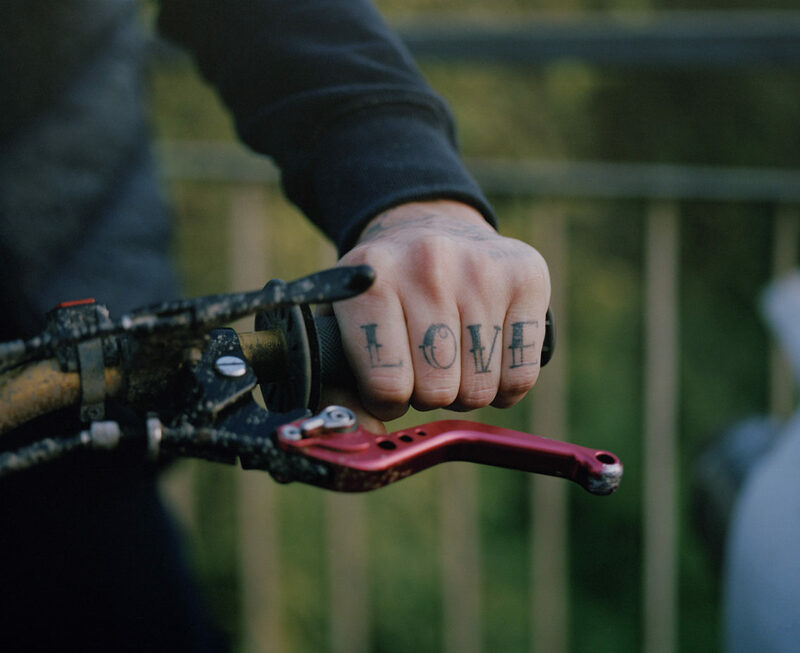 A culture of young, inner city bikers has grown up over the past few years in the UK. 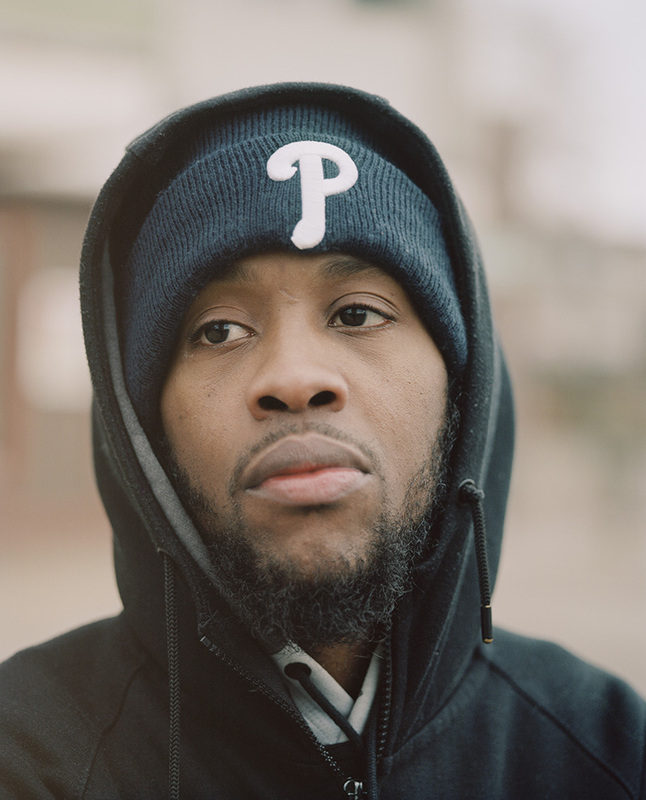 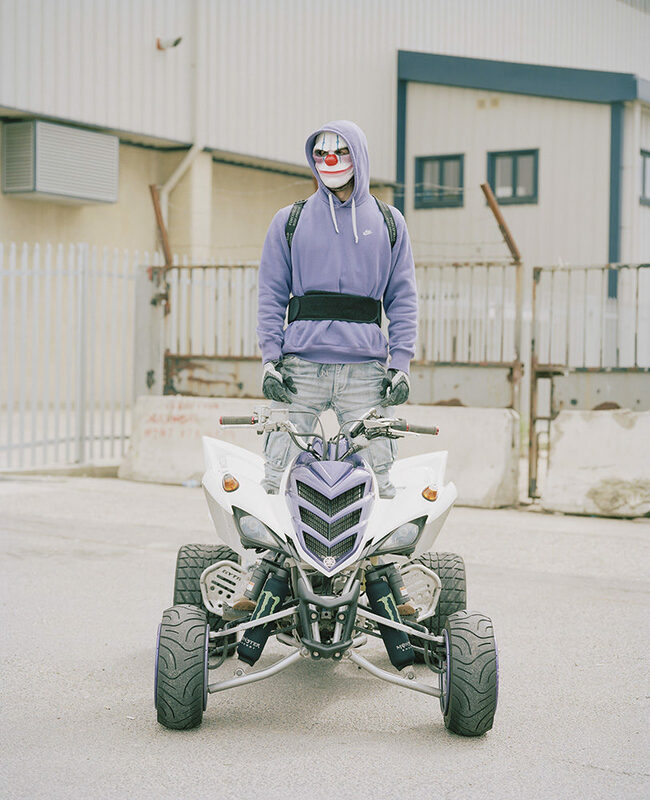 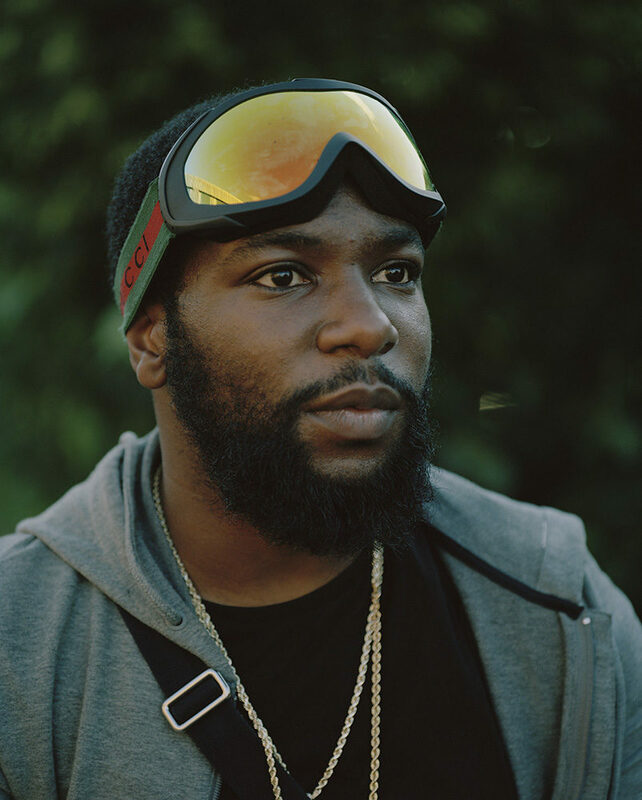 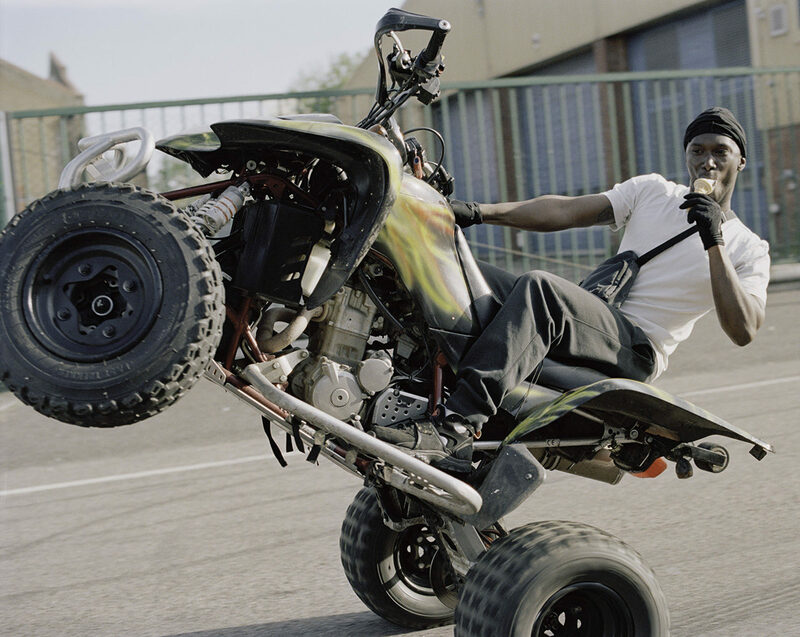 Inspired by the 12 O’Clock Boys of Baltimore, young men and women have taken to the streets on dirt bikes, quads and all manner of motorbikes to perform stunts. 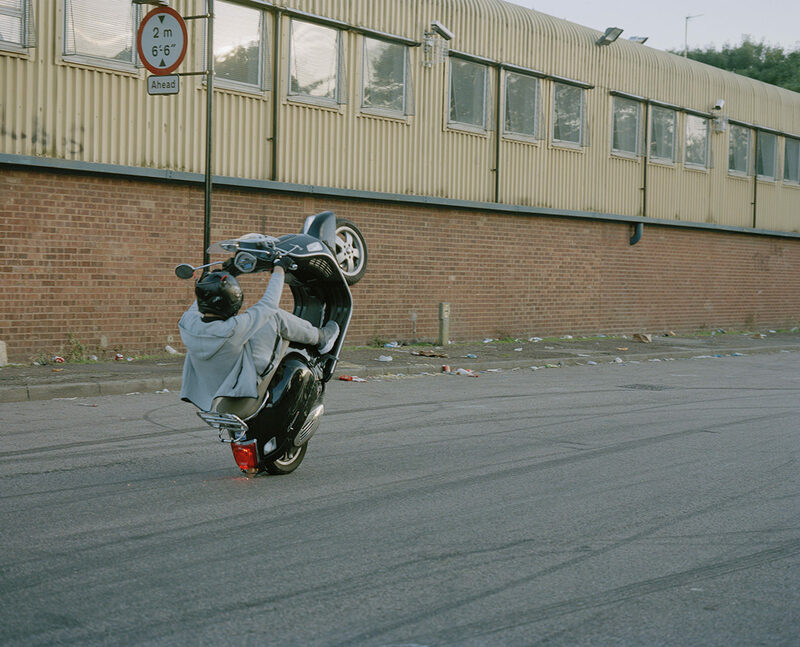 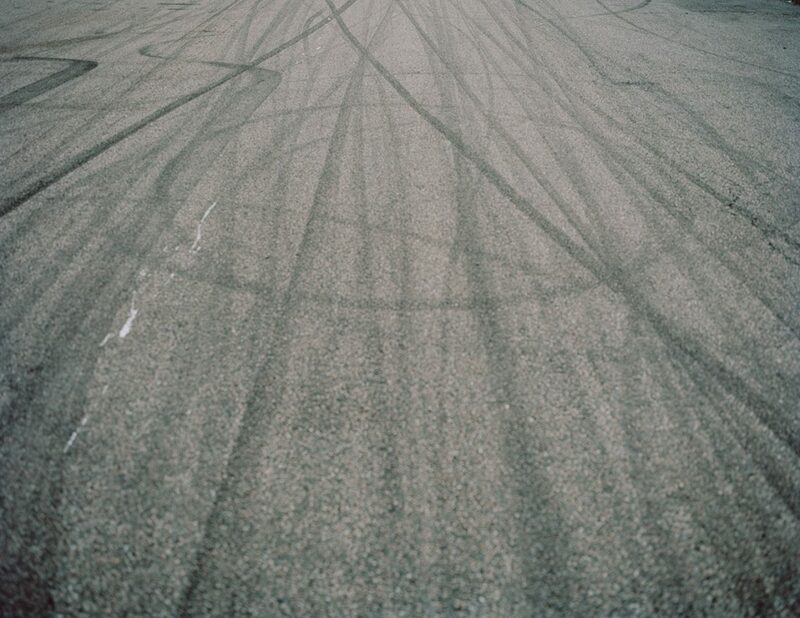 Often hidden in the mazes of industrial estates, where they won’t draw too much unwanted attention, riders will gather on weekends and perform stunts up and down a strip. 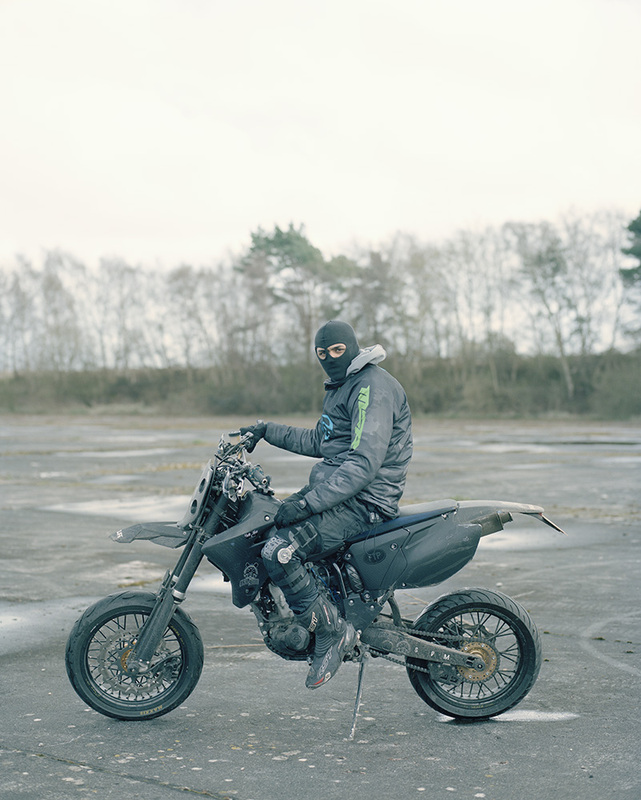 There is an air of the outlaw Wild West – just replace the horses with dirt bikes and the denim with sportswear. 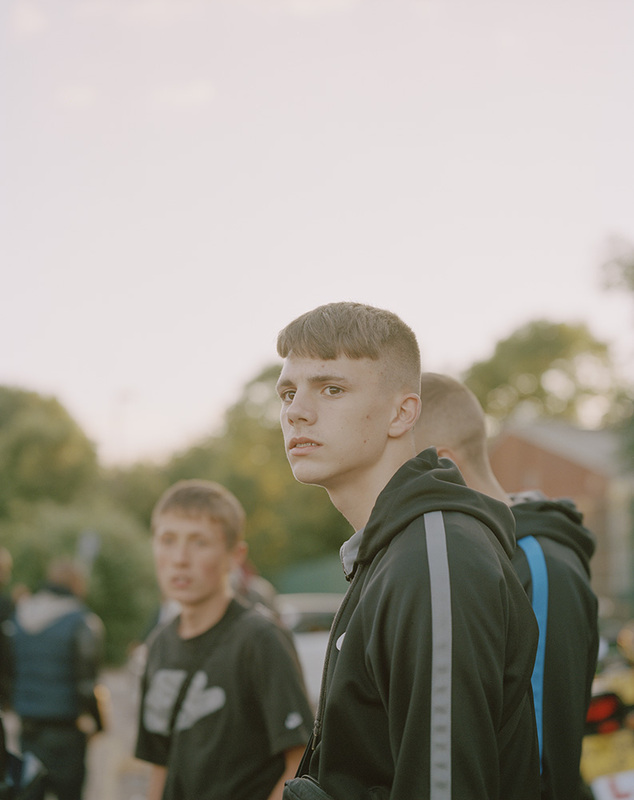 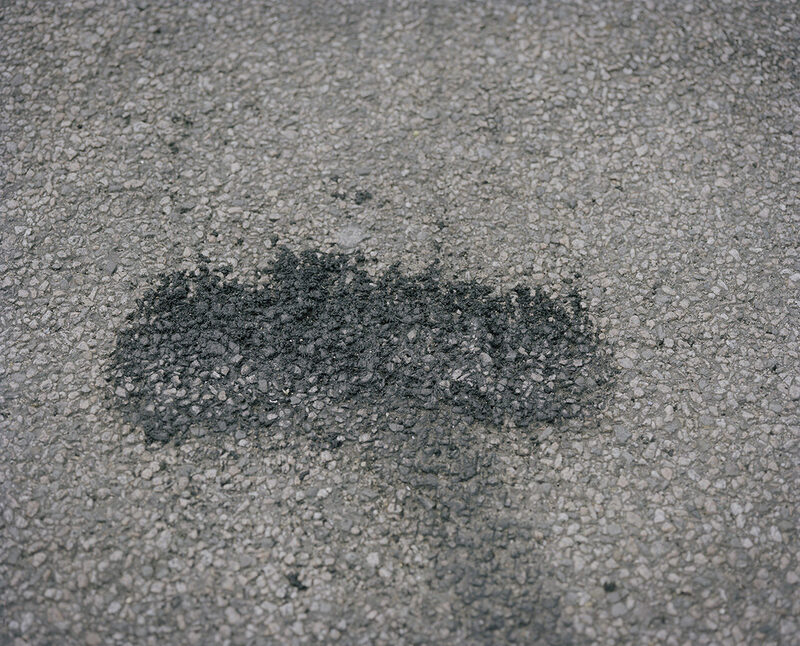 © 2019 Spencer Murphy. 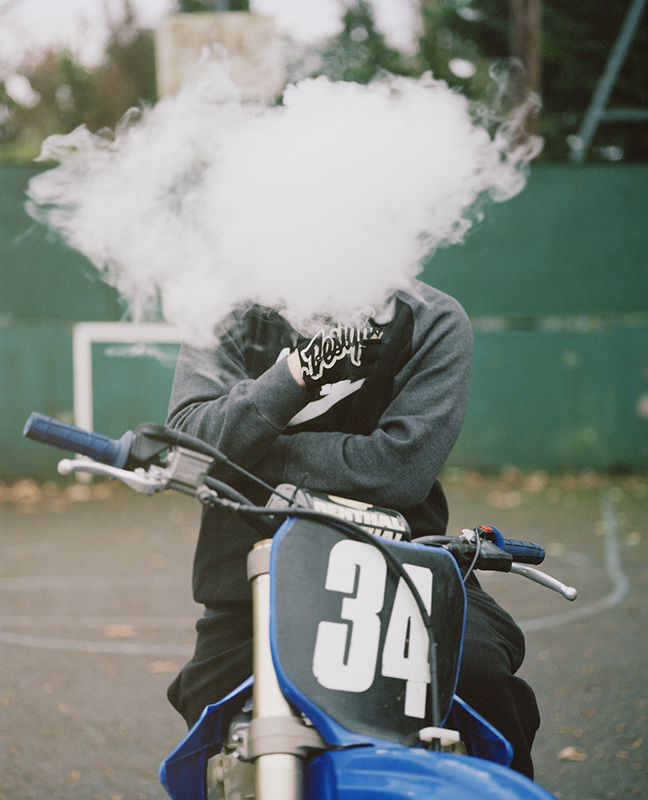 Site by AR.